This durable replacement cable by Sennheiser is compatible with the HD 25-1 closed back headphones. 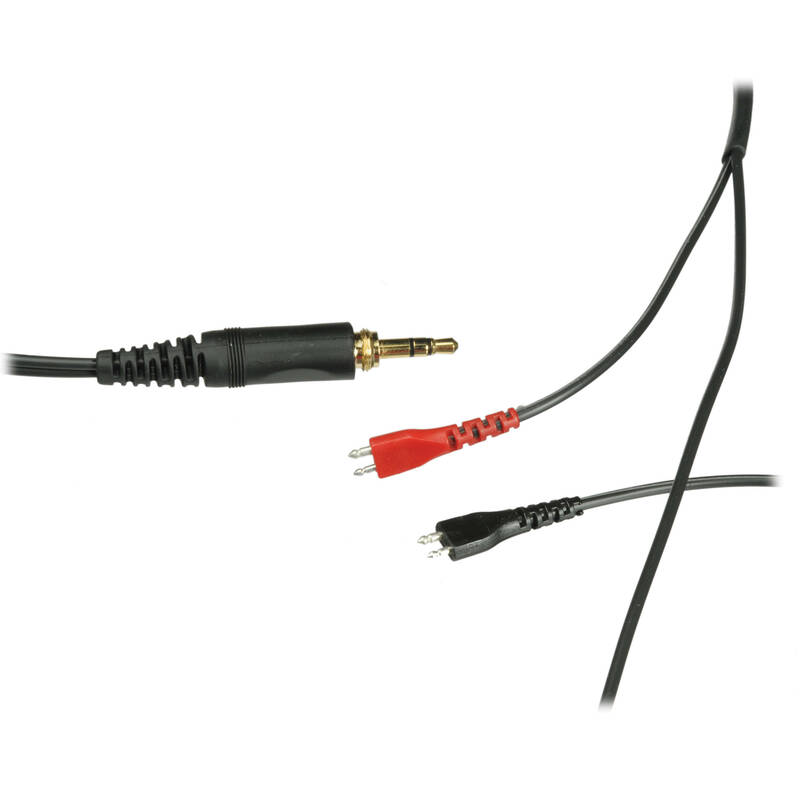 It features steel construction, 1/8" (3.5mm) stereo jack plug, and a length of 3 meters. Box Dimensions (LxWxH) 4.6 x 2.9 x 0.8"
Replacement Cable for HD 25-1 Headphones (Steel) is rated 4.3 out of 5 by 6. Rated 5 out of 5 by Anonymous from great improvement This cable is made with copper, which makes it sound much better than the original steel cable. A must buy for those who want to get the most out of their HD-25-1 II's. One minor thing is that the cable is much longer than the original cable, which may be good or bad. ps. The figure shows the cable is terminated with a 1/4 plug. However the one I received is the same 1/8 screw type plug as the original cable. Rated 1 out of 5 by Very Unhappy Ex-Customer from This Cable is NOT Copper, it is STEEL This product is mislabeled on the website. It is the STEEL Sennheiser OEM cable, as confirmed by Sennheiser Support. I was looking to upgrade to a copper cable and this IS NOT IT. Now I'm out return shipping ($10 for UPS with tracking) and will be extremely careful about what, if anything, I order from this site. They have still not corrected the description on the site. Rated 5 out of 5 by Brown George from Satisfied A simple replacement process for a simple piece of hardware. Nothing much to say, other than that I felt slightly ridiculous paying so much for a minuscule piece of plastic and wire, although that's the experience of the modern day, I guess. I'm happy with this product. Rated 5 out of 5 by meetmike from Very nice replacement for the HD 25-1 II As many on head-fi.org have stated, replacing the stock steel wire that comes with the HD 25-1 II with this copper wire greatly improves sound quality.The chord is a little long, however, for portable use. Rated 5 out of 5 by Anonymous from Excellent Product Copper not steel. Gives tremendously better sound. Really like added length.